You'll be £19.99 closer to your next £10.00 credit when you purchase Malice Aforethought. What's this? War has always provided a stimulus to technological development, and throughout the twentieth century this new technology was harnessed to produce increasingly deadly and malicious types of explosives in the form of booby traps, mines, delayed-action devices and mobile charges. Designed, constructed or adopted to kill or injure, these lethal mechanisms function when a person disturbs or approaches a seemingly harmless object or performs an apparently safe act. In other instances they are set off by remote control or automatically after a lapse of time. 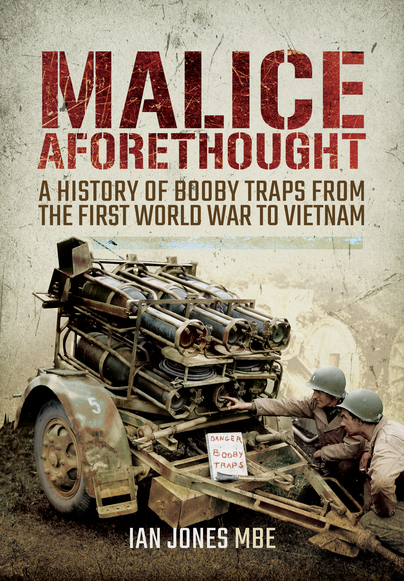 Fully illustrated with diagrams and photographs, Malice Aforethought traces the design, deployment and effectiveness of these deadly devices throughout both world wars to the Vietnam War. Expertly and compellingly written, this unique study is a tribute to the brave men who risked their lives daily to neutralise the booby traps laid in the dimly lit dugouts of the Western Front, on the beaches of Normandy, or in the dark and dangerous tunnels of Chu Chi. As featured in Military Modelling.